Akwa United was founded by the Military Administrator of Akwa Ibom State, Navy Captain Joseph Adeusi in December, 1996. The Government of Akwa Ibom State swiftly bought over the slot of the defunct NITEL Vasco Da Gama of Enugu when its management announced the disbandment of the club late November 1996. 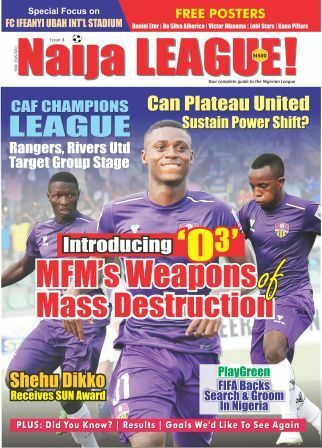 They gained promotion to the Nigerian Premier League in 2006 on very questionable grounds. Going into the last game needing a win of 12–0 to beat out Bussdor FC on points and GD, they routed rivals Calabar Rovers 13–0 to gain the slot amid cries of match fixing. In 2007, they were hit with a record $10,000 fine when three people died after a home game with Enyimba. The team was originally banned from playing in Uyo for three years, but on appeal the ban was reduced to one year pending the rebuilding of the ground. They were relegated back to the Pro League Division 1 on the final day of the 2008–09 season by goal differential after Zamfara United won 9–0.